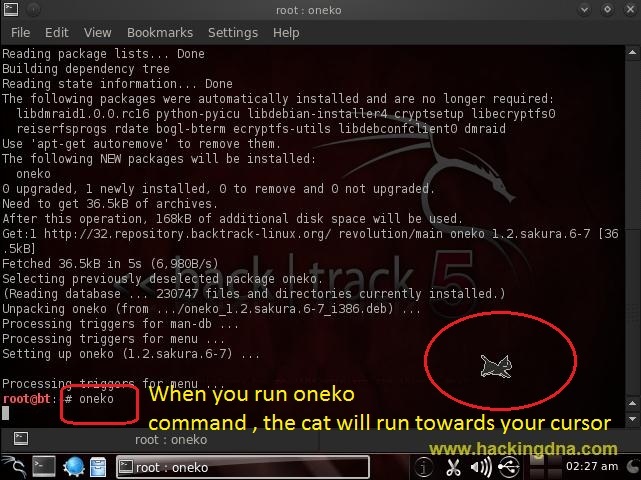 Oneko is a animated cursor-chasing cat screenmate application. Its a cat chasing mouse pointer application. Download Oneko using apt-get install command . 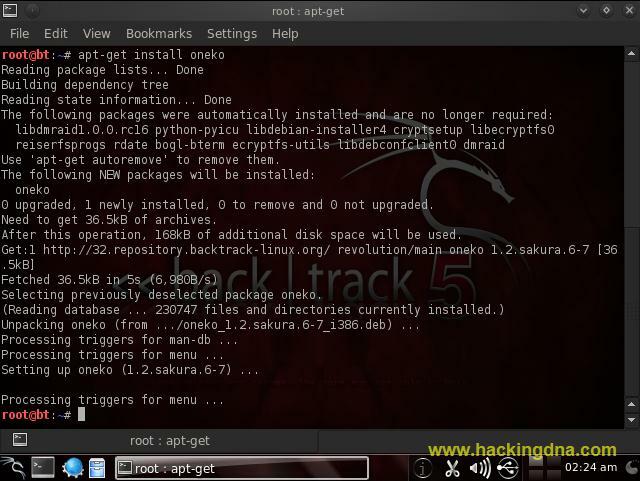 Command Used : apt-get install oneko. See the below image for more details - dless of its position. 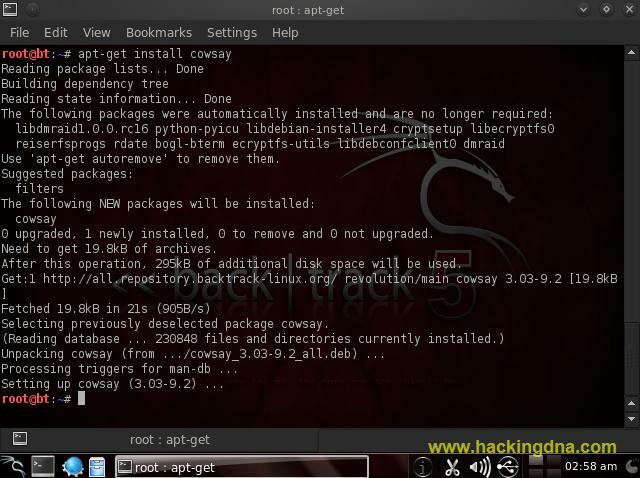 cowsay is a configurable talking cow, written in Perl. It draws an ASCII cow with a speech balloon (or a think balloon) saying whatever pithy comment you give it on the command line. The program requires Perl 5.005_03 or newer.